Looking to ease respiratory symptoms? 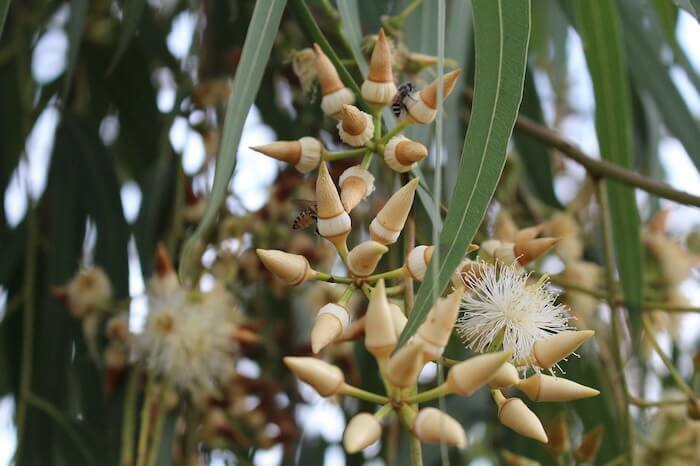 Eucalyptus (Eucalyptus globulus) has held a place in herbal medicine for centuries. Native to Australia, there are more than 680 species of eucalyptus, ranging from scrappy shrubs to towering trees. The bark and leaves provide a rich source of the pungent, heady fragrance that has become popular in modern aromatherapy. Specifically, Eucalyptus essential oil (EO) has attracted research attention for easing symptoms of respiratory illness. 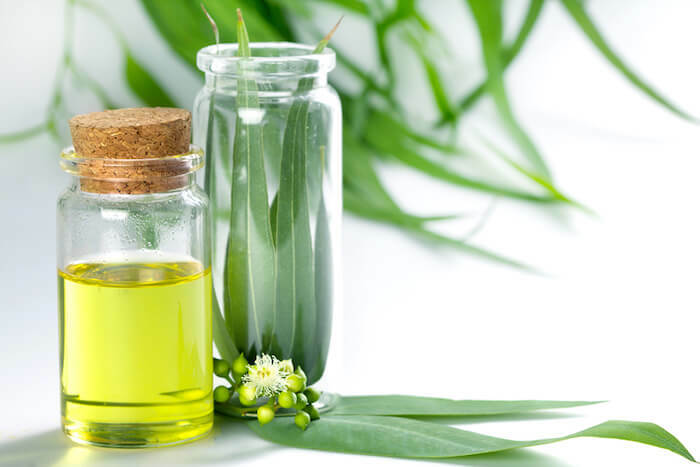 The medicinal properties of Eucalyptus EO include anti-inflammatory, antimicrobial, antispasmodic, antibacterial, antiseptic and expectorant. The primary active component, cineole, loosens phlegm so the body can expel it more easily, easing symptoms such as a cough, runny nose, sore throat, and congestion. Eucalyptus EO is found in many over-the-counter remedies including throat lozenges, inhalants, decongestant syrups, and chest rubs. However, it’s unsafe to ingest eucalyptus oil or to apply undiluted oil directly on the skin. As an aromatherapy remedy for respiratory symptoms, you can buy eucalyptus prepared as a tea, chest rub, or vaporizer. You can also purchase organic Eucalyptus EO for use in bath water, to add to a vaporizer or a room diffuser. The oil distributes in the steam, which helps open the nasal and respiratory pathways as you inhale. In a bath, add 1 tbsp of non-dairy milk (e.g. almond, cashew) with the oil to enhance dispersal of the oil. Before preparing a home remedy, consult with a physician about the proper dilution of the oil as it can interact with other medication, create an allergic reaction for some people, and requires different preparation for children than for adults. What’s your favorite natural way to ease respiratory symptoms? Share in the comments below!